So this is Specialized’s answer to Fat Bikes. Check the specs, the price, the geometry, but most importantly the fun. 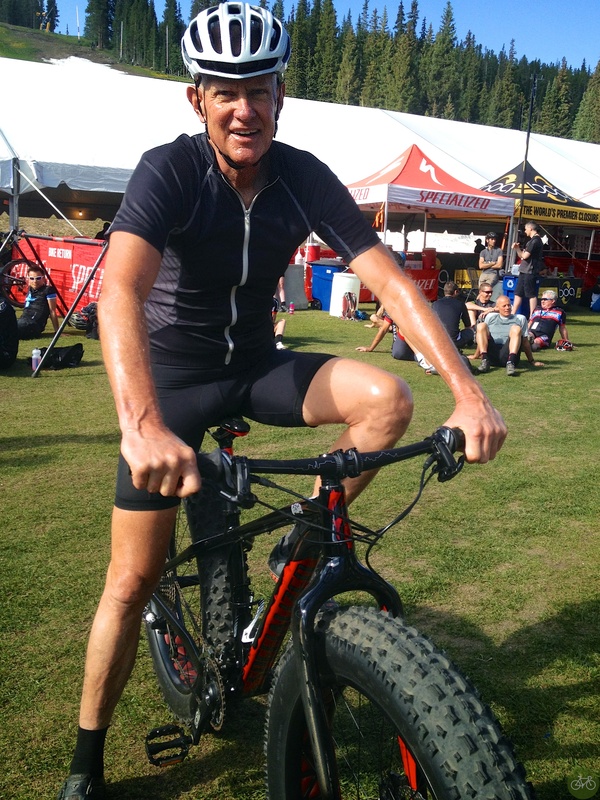 Before riding the fatness, I watched the bike roll out from and into the demo tent with smiling cyclists riding it. On the trail, one of them roared by me and they got raced at the Shortrack race Specialized puts on during the GPL (annual Global Product Launch for media and dealers). 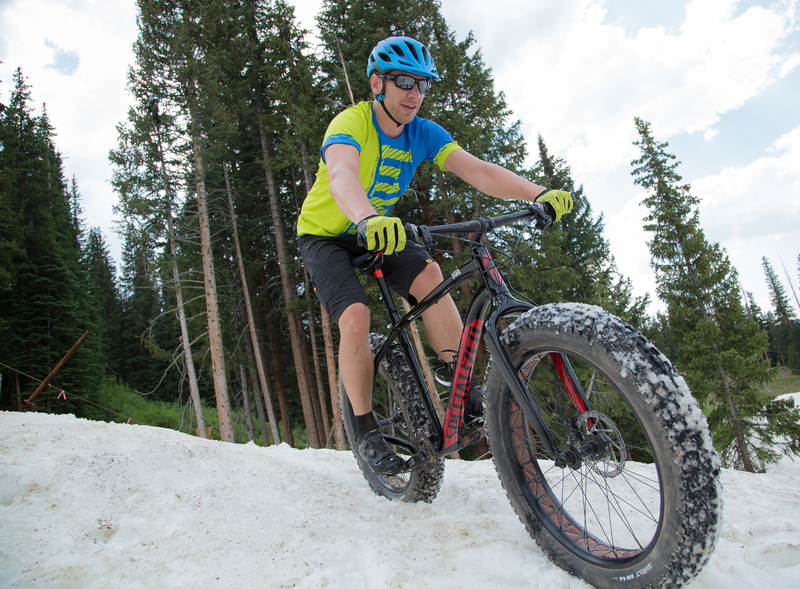 The Fatboy is what I called for in my review of Fat Bikes for Wired – also see the Fat Aftermath. That’s where I rode them in the snow and wanted them to perform much better. The experience made me ponder the point of these bikes, and the questions those building them must answer if snow biking is to catch on…. The Fatboy is what you’d expect from a Spesh MTB with tractor tires: performance geometry and carbon fiber. Mike Sinyard said to me, “doesn’t weight too much, huh? !” Nope and it goes good. Like all Spesh bikes, the Fatboy is designed to go fast and this one is just for the fun of it. Owners will likely upgrade the spec to knock a pound or two off and expect an S-Works trim in a generation or two, once races get won on the Fatboy. When they sleep, I think the Spesh product engineers that made this bike dream of a Fatbike World Cup. At the time of this post, pricing hasn’t been announced. See the specs on Specialized’s site and talk to your local shop if interested. If the Fatboy sells well, maybe we’ll see a Fatboy Turbo, a fat tired version of their other super fun bike. You know their engineers are already dreaming about that too, cause it does the same thing as the zoomy Turbo: puts a big grin on your face. I shot this video with Glass while riding the Fatboy around Copper Mountain. More photos of the Fatboy are lightboxed on G+ and Flickr.